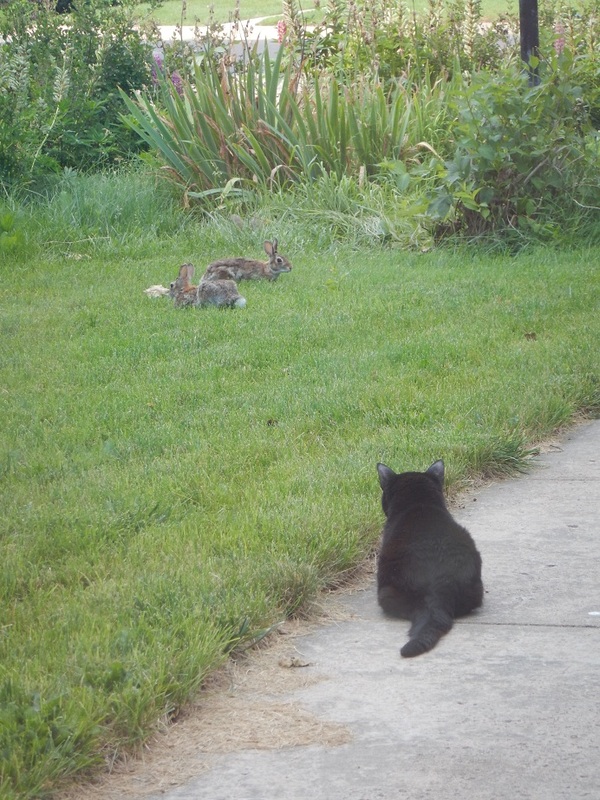 Bookend bunnies to the cat: You can’t really see us, and you don’t want to do anything about us anyway. Cat to the bunnies: My decision! Cat’ll charge right down the middle and miss both of them! That is a lovely, peaceful sight. My basset is still young enough to keep the yard bunny-free. Our avid-gardener neighbors adore him. Big congrats on your book contract! I can’t wait to read it.